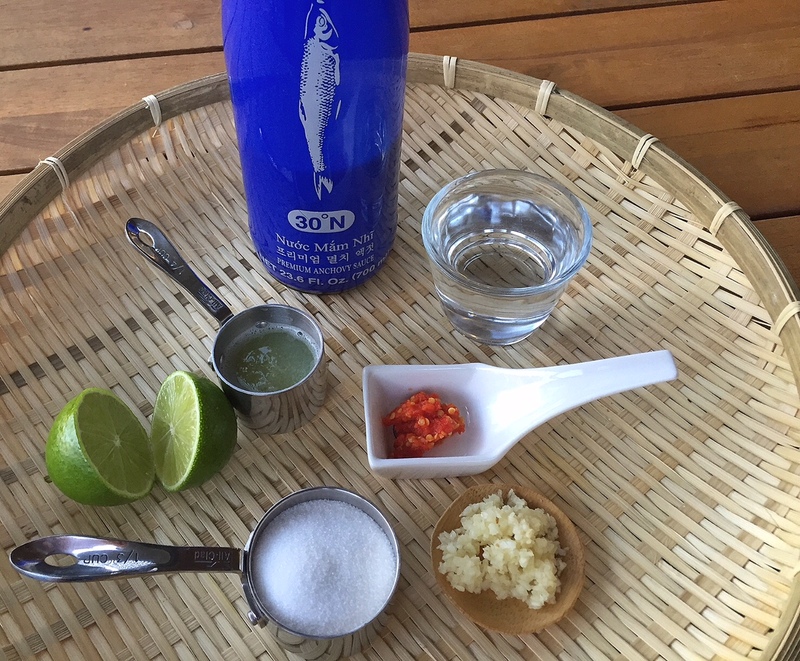 Fish sauce is anchovies mixed with sea salt and fermented for at least a year in a wood barrel. The result is a beautiful amber color, and a wonderful smell, albeit fishy. It’s the backbone of eastern Asian cuisine. The Vietnamese call it Nước Mắm. It runs in our veins as the saying goes. Fish sauce comes in many brands and the price varies. 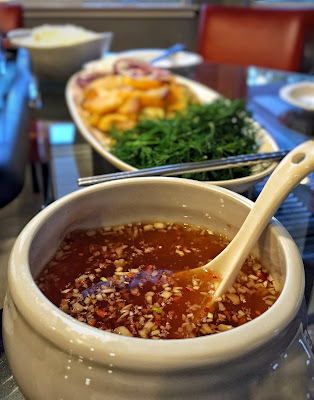 The most expensive fish sauce tends to be the one with highest purity and taste such as Red Boat. Megachef is another brand that I discovered recently which I'm quite fond of. It's a little bit sweeter than Red Boat. I use it mainly for cooking. 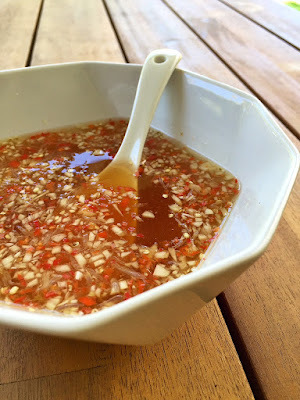 When comes to mixing fish sauce as a dipping sauce, the amount of ingredients that go into the dipping sauce is slightly different depending on what brand of fish sauce I use. 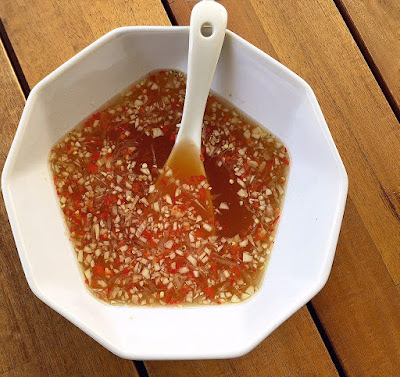 Fish sauce is used in almost every Vietnamese dishes. A common fish sauce dip usually includes fish sauce, lime juice, water, sugar, crushed garlic and chili pepper. The dipping sauce made from this is used almost ubiquitously. 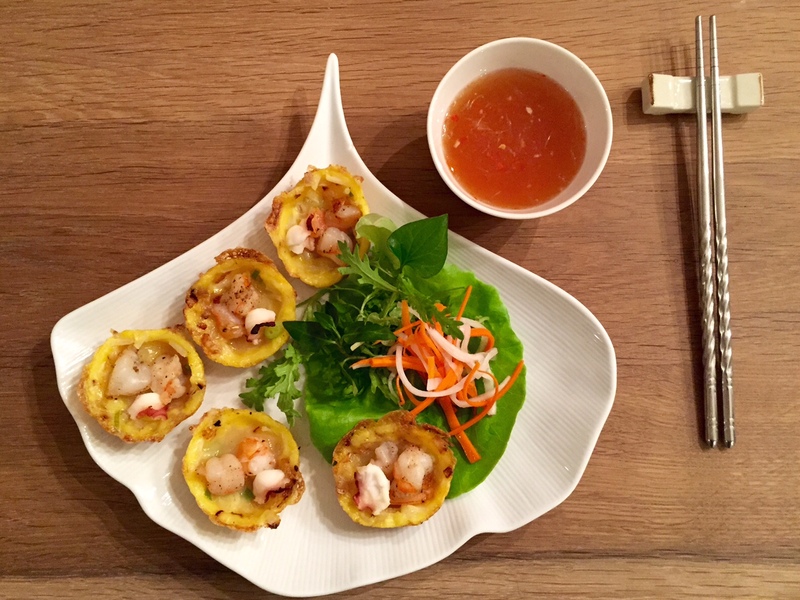 You can use it in spring rolls, Bánh Xèo (Sizzling Savory Crepe), Bánh Khọt (Miniature Crispy Shrimp Rice Cake), or as a dressing for noodles or salads. Depending on its use, you can tweak it by simply adding a tad of lime juice to enhance the tartness or tossing in a pinch of sugar to sweeten it up. Leftover sauce can be kept in the refrigerator for a few weeks in a sealed container. In a large bowl, stir the sugar and water together until the sugar dissolves completely. Add the remaining ingredients and mix well. Serve with your favorite dish.